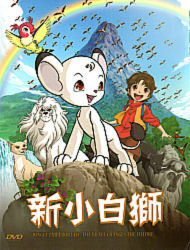 "The Brave Change the Future"
This movie is now on DVD with the original Japanese soundtrack and high-quality English subtitles. Born into a new world, Leo, a little white lion, grows up free and carefree. 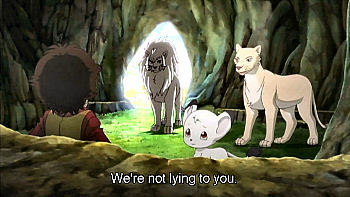 Though always teased by the other animals, he promises himself that someday he will become the Jungle Emperor, like his father, Panja. 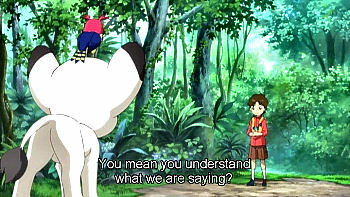 Leo has a human friend called Kenichi, who has a special ability to communicate with animals. 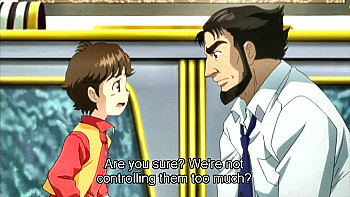 Kenichi believes deeply in his father. 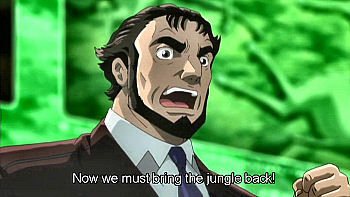 He believes without doubt that his father is a genius who can set up a man-made jungle to help save animals from going extinct. 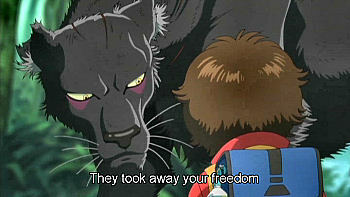 Until, one day he witnesses Panja shot by a hunter on his father's orders. 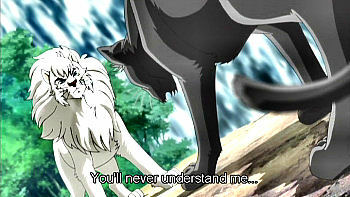 Taking up Panja's will, Kenichi and the animals stand together to fight against the humans' destruction of their world. This DVD is in NTSC format, which means it will play normally in the US, Canada, and Mexico. If you are outside these countries, please be sure you can play NTSC format. This DVD is factory-made and brand new. It has no region code. You can read about the movie here. plus $3 for First Class shipping to any location in the world. This page was updated on 15 October 2012.